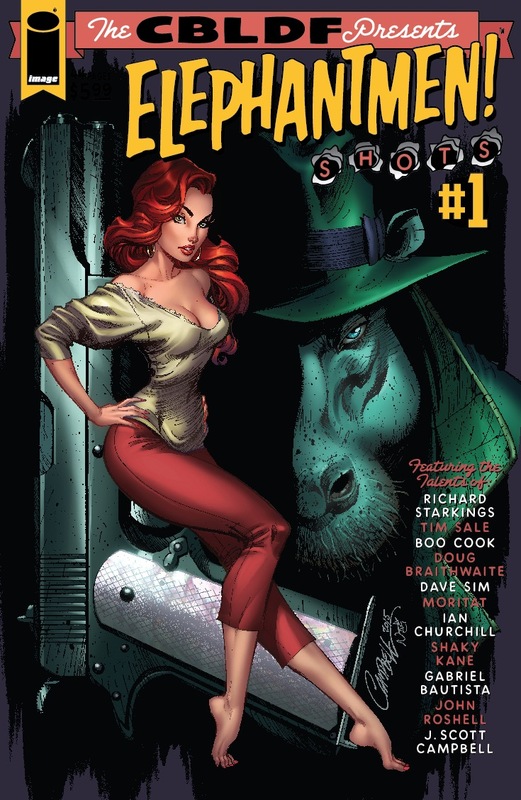 It’s new comic book day, and while you’re visiting your local comic book shop, don’t miss CBLDF Presents: Elephantmen: Shots #1, a new collection benefiting CBLDF’s work defending the right to read! 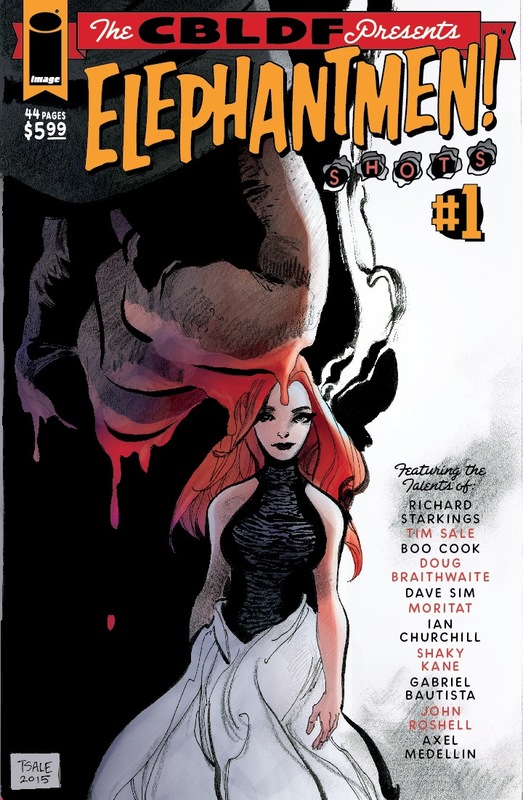 Image Comics and CBLDF join forces once again to bring readers a new Elephantmen one-shot collection in Shots #1, written by Richard Starkings and drawn by Dougie Braithwaite, Ian Churchill, Boo Cook, Shaky Kane, Moritat, Tim Sale, and Dave Sim. The proceeds of this book will go toward helping protect the First Amendment rights of comics creators, publishers, and retailers. 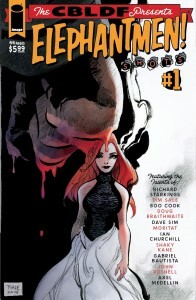 Led by Tim Sale’s nine-page “When the Night Comes,” this special Elephantmen: Shots #1 collects all the Elephantmen strips from Hero Comics, Liberty, and The Thought Bubble Anthology. 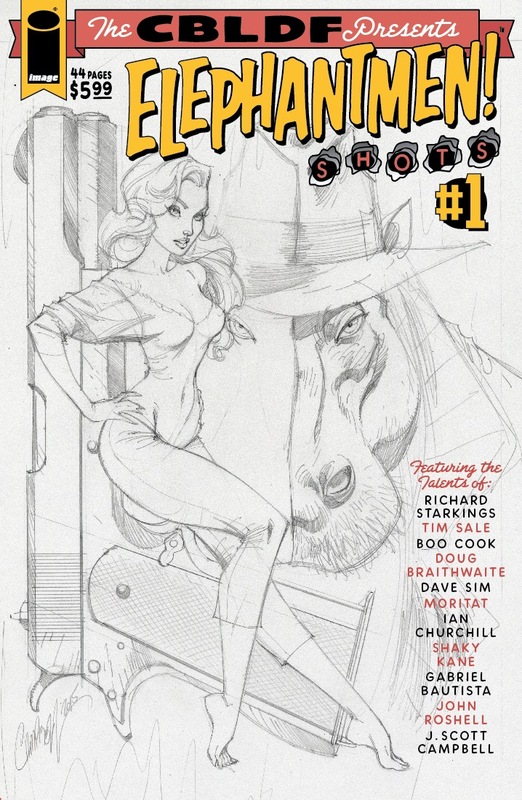 The collection also features the hard-to-find Judge Dredd, Strontium Dog, and Marineman crossovers and beautiful covers by J. Scott Campbell and Tim Sale! 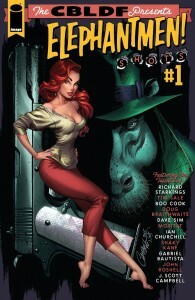 Don’t miss CBLDF Presents: Elephantmen: Shots #1, in stores today! 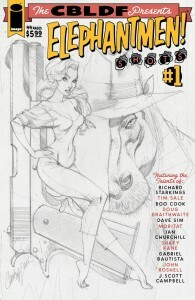 All proceeds earned from Elephantmen: Shots #1 support CBLDF’s important work defending free speech!